Heart of the best-known star pattern, the Ursa Major moving group probes the behavior of young stars and the chemical evolution of the Galaxy. 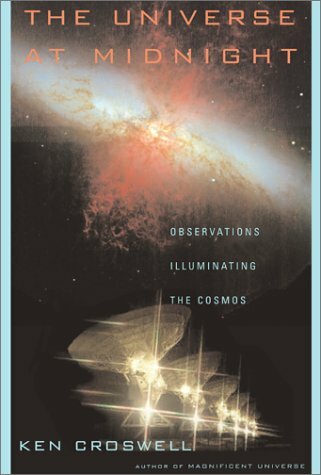 Published slightly abridged in Astronomy (March 2005, page 40). Seven stars form the Big Dipper, the first star pattern many skygazers learn. From most northern latitudes, the Big Dipper appears every hour of the night, as faithful as the North Star to which it points. After viewing spectacular constellations such as Orion and Scorpius, seeing the more modest stars of the Big Dipper and the constellation to which they belong, Ursa Major, can feel like coming home. Astronomy enthusiasts know there's more to the Big Dipper than just its attractive shape. The five central stars--named Merak, Phecda, Megrez, Alioth, and Mizar--are stellar siblings. They were born from the same gas and still travel together through space. But the entire Ursa Major moving group spans the sky from north to south. It features dozens of stars--some bright, some dim, some white, some red, some orange, some yellow--scattered across hundreds of light-years of space. Although the Ursa Major moving group is not a genuine star cluster--it's too spread out--it is the closest stellar gathering to Earth that shares a common origin. Indeed, it may include Sirius, the night's brightest star, which lies a mere 8.6 light-years away. A young British astronomer and author first recognized the Ursa Major moving group. In 1866, before turning thirty, Richard Proctor lost all his money in a New Zealand bank failure. "From that day onward for five years," Proctor said, "I did not take one day's holiday from the work which I found essential for my family's maintenance." 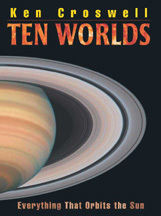 Proctor's work was studying astronomy and writing about it with great clarity. In 1869, he discovered celestial moving groups: "I find that in parts of the heavens the stars exhibit a well-marked tendency to drift in a definite direction." He noticed that the Big Dipper's five central stars share the same proper motion, or apparent movement across the sky from year to year. This "community of motion," as he called it, suggested that the five stars are related. Outside the nucleus, dozens of other stars across the sky move with the Big Dipper's heart. They constitute the moving group's so-called stream. The member star farthest north calls Cepheus the King home. The member star farthest south lies in Triangulum Australe, the Southern Triangle. In 1909, Danish astronomer Ejnar Hertzsprung--the "H" in the H-R diagram--even claimed that brilliant Sirius was a likely member. Moving groups are the ruins of star clusters. "We know that stars in our Galaxy tend to be born in clumps and groups," says Jeremy King of Clemson University, "but somehow the majority end up in the field. So there must be some sort of segueway, some sort of transition, where stars leave their nurseries and end up as isolated beings in the Galaxy." Most stars in the Milky Way are field stars like the Sun--they belong to no cluster at all. Moving groups are the missing link between cluster stars and field stars. A typical star cluster, such as the Pleiades, lives for only a few hundred million years. That's because huge clouds of interstellar gas and dust roam the Milky Way, and their gravity tears stars from the cluster until it disintegrates. Yet like parachutists jumping from the same airplane, the former members continue to drift through space together. The Ursa Major moving group constitutes the clearest and closest example. With an age of only 500 million years--a tenth that of the Sun--it is fairly young. Whereas the Sun has orbited the Galaxy's center 20 times since its birth, the stars in the Ursa Major moving group have done so only twice. The Sun likely formed with other stars, but today, it belongs to no known moving group. It is so old that it has lost its siblings. In contrast, the Ursa Major moving group is young enough that astronomers can still locate many of the members. To do so, astronomers must know the velocities of stars through space. Computing a velocity requires three things. First, astronomers must measure the Doppler shift, which reveals the star's velocity toward or away from us--its velocity along our line of sight. Second, they must know the star's proper motion, the apparent year-to-year movement across our line of sight. Finally, and crucially, they must know the star's distance, because this converts the proper motion into an actual velocity across our line of sight. Until recently, astronomers knew accurate distances to relatively few stars. The Hipparcos satellite changed all that. In the 1990s, Hipparcos measured precise parallaxes for most bright stars, including those in the Ursa Major moving group. A star's parallax--its apparent shift in the sky as a result of Earth's motion around the Sun--yields its distance through simple geometry. Astronomers define moving groups not by common distance but by common velocity. However, without knowing accurate distances, researchers can't know if a star shares the movement of the group. Like the Sun, the Ursa Major moving group travels through the Galaxy, but in a somewhat different direction. Member stars move toward the Galactic center about 14 kilometers per second faster than the Sun. They also move about 3 kilometers per second faster in the direction of the Galaxy's rotation. In addition, the stars are sinking through the Galactic plane at the modest speed of 1 kilometer per second. Thus, these stars spent all their lives near the Milky Way's plane, the region littered with the densest gas and dust. The original Ursa Major star cluster must have been doomed from the start. In 2003, King and his colleagues used Hipparcos parallaxes as well as new Doppler shift measurements to compile a list of all possible members of the Ursa Major moving group. They assigned each of some 220 candidate stars to one of five categories, from definite members to definite nonmembers: YES, YES?, ?, NO?, and NO. Altogether, 59 stars earned a YES or YES? designation, all likely members of the Ursa Major moving group. Notable among these luminaries are Gemma, the brightest star in Corona Borealis; Menkalinan, the second brightest star in Auriga; Delta Aquarii; Gamma Leporis; and Beta Serpentis. Surprisingly, one star that failed to make the YES or YES? grade was Sirius. "That's just the way it came out," says King. "We tried to not look at individual stars and say, `Oh, this is a favorite, well-known star.' We tried to employ our criteria homogeneously amongst all stars. I hope that's not an offense to anyone." Sirius got classified as ?, which means it might be a member or it might not be. The members span five spectral types. Because of the group's age, it contains no blue O- or B-type stars. These massive stars have lives measured in millions of years, so all have died. Instead, the most luminous main-sequence members are white stars of spectral type A, such as the Big Dipper's central stars. The group also includes lower-mass stars with spectral types of F (yellow-white), G (yellow, like the Sun), K (orange), and even M (red). Most members are main-sequence stars like the Sun, calmly burning hydrogen to helium in their cores, but some are more evolved giants or subgiants. Because the Ursa Major moving group is fairly young, astronomers can use it to see how young stars behave. In particular, its G-type stars offer insight into what the Sun was like when it was 500 million years old, a time when life may have been struggling to arise on Earth. Indeed, the Ursa Major group fills a gap. With an age of 500 million years, it's older than the Pleiades (about 100 million years old) and M34 in Perseus (about 200 million years old), but younger than the Hyades and Beehive clusters (both about 700 million years old). The Sunlike stars in the two young clusters--the Pleiades and M34--are active. The stars spin fast, generating strong magnetic fields that spawn spots and flares. In contrast, stars in the Hyades and Beehive clusters are quieter. Their spins have slowed and, as a result, their activity is more subdued. King's team finds the Sunlike stars in the Ursa Major moving group are almost as quiet as those in the Hyades. If the Sun followed the same trend, then it quelled most of its activity over a short interval: it was active when 200 million years old but much quieter at 500 million years. Still, the stars in the Ursa Major moving group are feistier than the present Sun. Indeed, this activity provides another criterion to determine which stars are true members. How can astronomers further refine membership in the far-flung group? David Soderblom of the Space Telescope Science Institute, and a member of King's team, asks: "Could you find abundance patterns that are kind of like fingerprints that tell you this bunch of stars must be related to each other because they have an odd abundance of some element? That would give us a completely independent way of testing the reality of the group." Intriguingly, ongoing research by a team in Brazil offers just that hope--a result that Soderblom calls very interesting and King calls fascinating. "It actually started by chance," says Gustavo Porto de Mello of the Federal University of Rio de Janeiro, "because during my Ph.D. thesis, I had this small sample of solar-type and solar-neighborhood stars. There happened to be one star which was a member of the Ursa Major group--and I found this very weird abundance pattern." The Ursa Major member was a yellow main-sequence star similar to the Sun. It has a spectral type of G5 and lies 42 light-years away in Scorpius. Although it bears the prosaic name HD 147513, it stands out from the nonmember stars because it has a high level of barium and a low level of carbon. 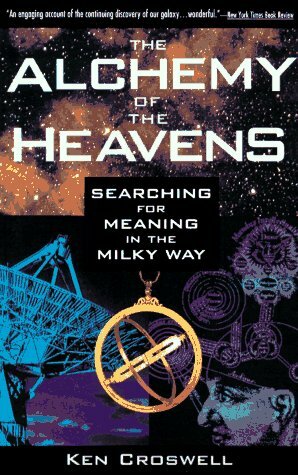 At the time Porto de Mello was doing his initial research, in 1996, he thought only the one star was strange. Then he and his colleagues observed six other G- and K-type stars in the Ursa Major moving group. "All of them showed exactly the same pattern," he says. "Such a peculiar chemical pattern is very unexpected and has no parallel in other groups." The stars had lots of barium but little copper. The cloud of gas and dust that formed the Ursa Major moving group must have been chemically peculiar, with high levels of barium and low levels of copper and carbon. The stars inherited these odd abundances when they were born. Astronomers have long known that the metallicity of the Ursa Major moving group--as measured by its iron abundance--is normal, similar to the Sun's. But Porto de Mello and his colleagues found that the group's barium-to-iron abundance is twice solar. With an atomic number of 56, barium is a heavy element that stars don't like to make. That's because the creation of elements heavier than iron (atomic number 26) robs a star of energy. Consequently, heavy elements such as gold and platinum are rare. Nevertheless, traces of these heavy elements do arise when iron nuclei get hit by neutrons. Such neutron-capture reactions occur through two main processes. The more dramatic happens in supernova explosions, where a rapid neutron flux bombards iron nuclei. This so-called r-process ("r" for "rapid") creates most of the heavy elements. 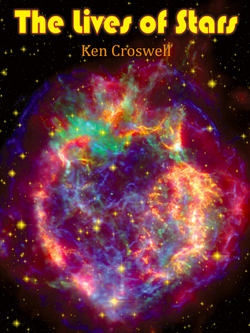 The gold in your jewelry was forged in the r-process, during supernova explosions. However, barium--the element that abounds in the Ursa Major group--arises through a subtler process. In the s-process ("s" for "slow"), a slow neutron flux inside a red giant or supergiant star transforms iron and similar nuclei into heavier elements. According to Porto de Mello, Ursa Major is the only group of normal stars with such high abundances of barium and other s-process elements, like yttrium and zirconium. Furthermore, the group has little copper (atomic number 29)--only about two-thirds as much as the Sun. "Copper is a complicated element," says Porto de Mello, "because it lies right at the border between the iron-group elements, which are mainly synthesized by supernovae, and the heavier elements, which are assembled only by neutron capture. So it gets contributions from both nucleosynthetic effects." Porto de Mello speculates that the dearth of copper may be related to the wealth of s-process elements such as barium. Before the Ursa Major stars were born, the neutrons in one or more red giants built the s-process elements by hitting copper nuclei and depleting that element. These red giants then shed their barium-rich, copper-poor atmospheres as they passed through the gas cloud that later spawned the stars of the Ursa Major moving group. As a result, the Ursa Major stars now have high barium and low copper abundances. Whatever the cause, astronomers can use the odd abundance pattern to locate additional members of the group. "It's another fingerprint," says King. "It's one thing to say the stars have some kinematics in common and they all have the same age, but if you can start showing that they have the same abundance patterns, I think that's really special." Odd abundances even offer the promise of rescuing the Sun's long-lost brothers from the celestial sea of obscurity. Perhaps the Sun possesses a peculiar enhancement or deficiency of some exotic element. If other stars with the same age share precisely the same abundance pattern, then astronomers may finally catch sight of the stars born alongside the Sun and Earth, 4.6 billion years ago. 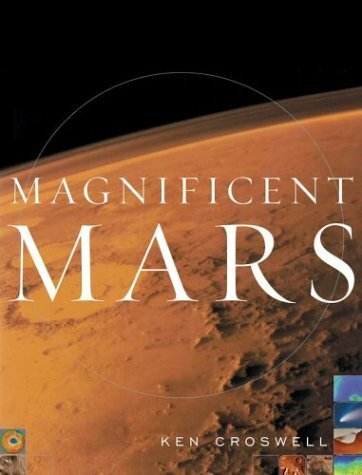 Ken Croswell earned his doctorate in astronomy from Harvard University and is the author of Magnificent Universe and Magnificent Mars. 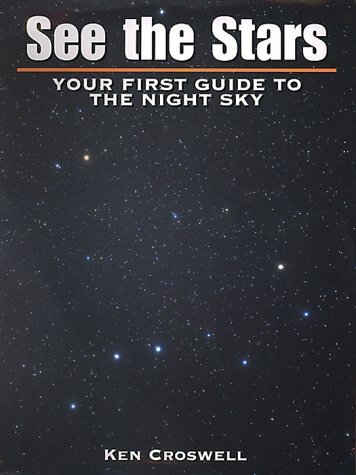 He likes the Big Dipper so much that he put it on the cover of his book See the Stars: Your First Guide to the Night Sky. This table lists all stars that King et al. (2003) classify as YES or YES?--definite and probable members of the Ursa Major moving group. The Roman numeral following the spectral type gives the luminosity class: III means giant, IV means subgiant, and V means main-sequence star, like the Sun, which is G2 V. Spectral types and luminosity classes are not available for all stars.